There are many challenges that face single parents, but having a single parent Christmas may be one of the worst. This is a time for family, but when your family is broken it can be an emotionally difficult (as well as a financially difficult) part of the year to get through. However, there are ways and means of helping you and your children through Christmas with you as a single parent. It is very important that you do not spend your Christmas alone, especially in your first year of being a single parent. Even spending Christmas with your children only, if they’re not with your ex, can be a bad idea. Surround yourself with friends and family so that you will have a strong support group of people who care about you and your children around you. 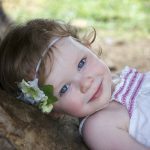 The merrier the atmosphere, the happier your children will be, and if they see that you are comfortable and having fun, they will relax and have fun too. 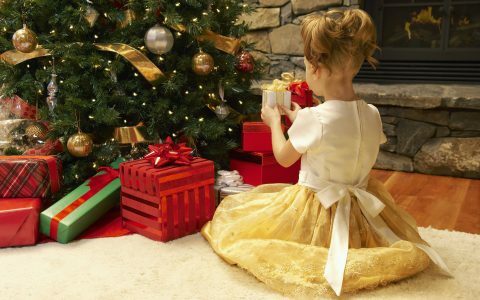 And, of course, the more people you invite for Christmas, the more presents your kids are likely to receive, making the day seem more important and fun for them from that point of view as well. It will take time for your children to adjust. This is something that you will just have to accept and deal with. It is up to you to make the transition as easy for them as possible by providing a positive atmosphere. 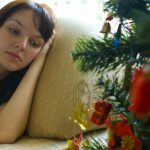 Of course, the joy of having two Christmas celebrations won’t entirely make up for how your children are feeling, so it is important that you do not dismiss any feelings of sadness that they express. These feelings are normal and you must demonstrate love and understanding towards your child. But at the same time show them that you accept how things are and that you are perfectly happy to move forward in your current situation. Show your children that, even though things are bad right now, there are others in worse situations – this could put the entire situation into perspective for them and help them to move on. 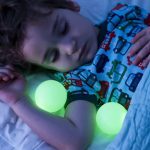 This is also a good way to shake up the usual Christmas traditions that you follow in your household and will give your children a new outlook on life. However, it is probably better not to force your children to participate in charity work if they don’t want too. Christmas is not about you or your ex or the relationship that the two of you have; it is about your children. With that in mind it is very important to cooperate with your ex as far as possible. For example, it is probably a good idea to discuss the gifts that you each plan to buy for the children before actually purchasing them. This will prevent the two of you accidentally buying the same gifts but, more importantly, it will prevent the arguments that so often arise between ex-spouses because one bought something for the child that the other doesn’t approve of. By working together harmoniously on this point you stand a higher chance of giving your children a Christmas full of joy and happiness. Cooperating with your ex is easier said than done, but when you remember who you are doing it for, it becomes far easier to face your ex and have the discussions that need to be had. Christmas with your children as a single parent can be an extremely chaotic time, and, with no partner around to help you, it could get out of your control. The trick here is to plan well in advance for the big day. Try writing a to-do list of all the things that must be done (e.g. buy gifts for the children, buy the ingredients for lunch, etc…) and tick them off as you go along. If lists don’t work for you, find another way to plan in advance. When Christmas arrives everything will run smoothly with as little disappointment as possible. If you plan extremely far in advance (say, from February) this could also ease the financial burdens that Christmas brings as you will be able to stretch out your purchases and buy as many things as possible that your children will really enjoy. 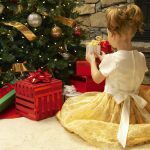 Children, especially young children, often have unrealistic expectations for Christmas and may be disappointed if they don’t get what they want – make sure that you communicate the budgetary constraints to them and that they understand that they can’t always have everything that they want now that you are a single parent. 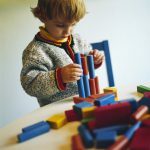 Don’t be tempted to overspend to make up for the absence of a second parent – children know when you’re compensating for something with expensive gifts that you can’t afford which detracts from the magic of receiving a gift in the first place. Buying large sheets of colored cardboard is not expensive. 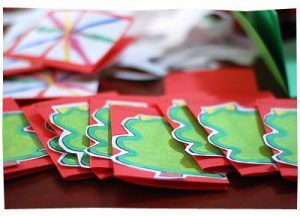 Cut them down to size and have your children decorate them with you with cut-outs from last year’s cards or stickers. They can even create their own artworks which can be attached to the front of each card. Family members and friends will enjoy receiving personalized cards like these, and you will have spent some invaluable bonding time with your children who will enjoy having their hard work appreciated by everyone that you send cards to. Small touches like this can make a single parent Christmas so much easier to bear for you and your children. Turkeys are not cheap, and they are usually too much for one small family. If you are a single parent, your immediate family probably consists of only about 2 or 3 people, which makes buying a huge turkey a big waste. A better way to plan the Christmas menu may be by allowing each of your children to select a special meal each year which you can then all prepare together. Give them a few interesting, but affordable, options. The big advantage of this strategy is, like with the Christmas cards, you have an opportunity to bond with your child or children. Your children will also begin to appreciate the fact that, just because they don’t get a big expensive turkey for Christmas, it doesn’t mean that Christmas has to be anything less than the best day of the entire year. Plan the menu well in advance so that you have everything you will need. If you had a partner, you would probably buy them something for Christmas. Now that you are a single parent, it is a good idea to spend the money that you would have spent on them on yourself instead. Have something for yourself to open and treat yourself with something that really means something to you. Your children are the most important people to think about over Christmas, but you also need to look after yourself. Buying yourself a gift will quietly remind you that you are important too. Single parents who do this find that they face Christmas in a much better mood than usual, which their children pick up on. 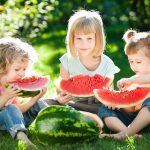 The overall atmosphere is therefore improved which makes the day so much more enjoyable, exciting, and fun for your children. It’s Christmas! Throw the usual rules out of the window. If you want to stay in your pajamas all day, so what? They will enjoy the novelty and it will remind them that Christmas is a different day where different things happen. Have your Christmas lunch as a picnic on the floor in the lounge in your pajamas and put their favorite movies on. This is an affordable way to have an enjoyable and memorable Christmas with your children as a single parent. Tell Christmas stories to each other, either ones that are made up or well known options. Christmas is, as I’m sure you’ve picked up on, a good time for a single parent to bond with his or her children. Make the day about you and your family. Your children will grow up knowing that you don’t need to have a lot of money to have a great Christmas. Single parents are often tempted to do everything themselves, even when their children are older. Remember that chores like washing the dishes on Christmas day are still a family affair. Just because it happens to be the 25th of December doesn’t mean that your children can suddenly start shirking their chores and responsibilities. Everyone should help in the cleaning process at the end of Christmas day, but this can be an enjoyable and fun experience in its own right. With younger children, dishwashing can be turned into a Christmas game, and with older children many deep and meaningful discussions can be had while washing the dishes together. You do not have to do everything yourself. Doing chores together will bring you closer and will also relieve the burden of Christmas for you, the single parent, putting you in a better mood. These are not the only things that you can do to help your children get through a single parent Christmas. It must also be noted that not all of the above methods will work for all families. However it is important that you know that there are ways to not only survive Christmas, but also ways to truly enjoy to, even though you are a single parent and ‘on your own’. To a large extent, the success of your Christmas day lies in your attitude. If you approach Christmas in a positive state of mind, you are more likely to have a positive day, and your children will also learn from your example.